The mere mention of "Mediterranean" evokes images of a life that is easy and stress-free, good and simple yet delicious food, and high levels of physical activities. Call this dreamy in a way but for people living in the countries that border the Mediterranean Sea, this lifestyle is a reality. Since the 1940's, it has been found that people living in this region had lower incidence of heart disease, cancer, and other chronic problems compared to those who lived in other European countries and the United States. Researchers have examined extensively the factors which may contribute to this condition of well-being and have narrowed it down to the diet of the people in this region. Through the years, as word spread out about the health benefits of the diet from this region, this has then grown to be known as the Mediterranean diet. Most recently, the Mediterranean diet has been increasingly talked about as the "next" weight loss loss diet to be on, comparable to that of the South Beach Diet. We find this sort of a paradox considering that there have been concerns that a diet rich in olive oil and other unsaturated fats could also lead to overweight and obesity. Such being the case, we decided to dig deeper into the Mediterranean diet to see if this diet is really an effective way to lose weight and to help you decide whether this is a weight loss diet program worthy of your consideration. For hundreds of years, people in the Mediterranean coastal region have lived on a diet rich in fresh plant foods and olive oil combined with lots of regular physical activity. Through the years, scientist have studied this way of life since it has been observed that people in this region have been found to live long, healthy lives virtually free of any chronic disease. The Mediterranean diet consists of fresh food — fish, vegetables, fruits, legumes, whole grains, beans, yogurt, seeds, nuts, and moderate amounts of wine servings. Red meat and processed food intake is very low. These food combinations appear to provide thousands of micronutrients, antioxidants, vitamins, and minerals that help protect against heart disease, cancer, and Alzheimer’s disease, among other conditions. The Mediterranean diet has been found to provide health benefits that other diets can't seem to produce. For example, monounsaturated fats, found in food such as fish, olive oil, avocado, and canola oil, are anti-inflammatory and fight disease at the cellular level. Olive oil, with its rich monounsaturated fat content, continues to be proven to have lots of health benefits. Add to this healthy meal program lots of regular physical activities and a stress busting lifestyle, you have a formula for a long and healthy life. Below are some of the reasons why the Mediterranean diet is increasingly becoming very popular among people who are trying to lose weight. Studies prove health and weight loss benefits of the Mediterranean diet. Scientists have been intensely studying the eating patterns characteristic of the Mediterranean diet for over sixty years. The first Mediterranean diet study, which was done at the end of the 1940's, examined closely the health of the people of the island of Crete. The study concluded that the cardiovascular health of Crete residents can be attributed to their diet. Since then, the body of scientific evidence supporting the healthfulness of the traditional Mediterranean diet continues to grow, and continues to reinforce the conclusion that Mediterranean style eating patterns are conducive to long healthy lives. A two-year study published in the New England Journal of Medicine in July 2008 also came to the same reinforcing conclusion that there truly are long-term benefits to a diet based on food combinations that compose a Mediterranean type of diet. The study found that the Mediterranean diet may be an effective alternative to low-fat diets since people on the Mediterranean diet lost more weight than those on the low-fat diet. People on the Mediterranean diet were also found to have significant improvements in blood sugar level, which is good news for diabetics. According to Lona Sandon, RD, a spokeswoman for the American Dietetic Association, and an assistant professor at University of Texas Southwestern Medical Center, Dallas, the study results did not surprise her. "As shown in this study and many others that have come before it, any of the diet approaches will work short term, as the most amount of weight was lost in the first six months." Sandon added that, "My first reaction to this data is, if I am needing to lose weight and decrease the risk of heart disease and diabetes, I would choose the Mediterranean diet approach. 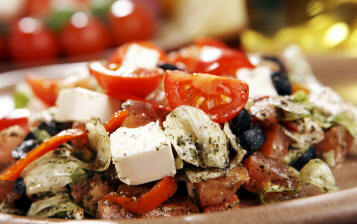 The Mediterranean diet may prove to be the better long-term solution," she says. In 2003, a study published in The New England Journal of Medicine concluded that the health benefits of the Mediterranean diet may not be the olive oil itself, but the interaction or synergy between all the foods that leads to the health benefits. Actual testimonials of people who have lost weight. We did some further research to find out how people have been faring with a Mediterranean style diet program and found postings of testimonials of people on forums, blogs, and articles about how they have successfully achieved weight loss and better health through this diet, or should we say, lifestyle. Rich in good fats. The Mediterranean diet includes a lot of fish which are high in Omega 3 fatty acids, and consistently uses olive oil in meal preparation. Omega 3 fatty acids have been proven to help lower cholesterol, tryglicerides, LDLs and blood pressure, while at the same time increasing good HDL cholesterol. Omega 3 fatty acids have also been proven to reduce or prevent the onset of arthritis and other body inflammation, as well as help prevent three of the most common forms of cancer namely breast, colon, and prostate cancer. This definitely boils down to better health and longer life expectancy. Olive oil on the other hand, has been found by countless numbers of scientific studies to help reduce blood pressure levels, help reduce the risk of heart attacks and strokes, help prevent cancer, benefit people at risk with diabetes, and lessen the severity of arthritis. Olive oil is rich in monounsaturated fat and antioxidants like chlorophyll, carotenoids, and vitamin E. A compound found in olive oil called oleuropein helps prevents the LDL cholesterol from oxidizing, which therefore reduces the risks for heart attacks and strokes. Olive oil is also a good source of antioxidants like Vitamin E.
Never too late to go on this diet plan. Studies have shown that it is never too late to adopt the Mediterranean diet and lifestyle to increase longevity and reduce the risk of chronic disease. According to a study published in The Journal of the American Medical Association, seniors who led a healthy lifestyle of not smoking, eating a Mediterranean-type diet, moderate intake of alcohol, and 30 minutes of daily physical activity, significantly increased their life expectancy. Simple and easy to follow. The Mediterranean diet is actually very easy to follow. If you are well-versed with Mediterranean style cooking, then this should not be much of a chore to prepare. According to the American Heart Association, there is actually no single Mediterranean style of cooking you have to follow. It is more of a dietary pattern wherein you eat plenty of plant food such as vegetables and fruits, take in protein from fish sources rich in omega 3 fatty acids, eat more whole grains, add some nuts and seeds to your meals, have some wine with meals, limit your intake of red meat, and minimize the intake of saturated fats. Emphasis on physical activities. Keep in mind that the Mediterranean diet is actually a lifestyle, which includes lots of physical activities such as exercise, walking, and other physical activities that will get your heart pumping. As we all know, the combination of an active lifestyle with a healthy diet makes for a better weight busting combination. Non-prohibitive of carbohydrates. If you are a carbohydrate eater, the Mediterranean diet does not prevent you from totally giving up your favorite bread, cereals, or starches provided that you select whole grain sources for these. Portion control is key. When you go on the Mediterranean diet, sensible portion control remains an essential part of the program. You simply cannot eat in wild abandon just because you are eating all the food that constitute what may be classified as part of the Mediterranean diet. Calories and portions still count on this diet, even if they are healthy types of food. Wine lovers delight. For wine lovers, this diet comes right up your alley since a glass of wine is almost always served with your meal, at least for lunch or dinner. Of course, wine drinking is recommended in moderation. Food preparation. If you have not tasted or tried Mediterranean food before, then food preparation might be a challenge. Not knowing how a dish should taste and look like can be quite an "amusing" task, especially for those who are quite challenged when it comes to cooking or preparing food. If you are not of Mediterranean region ancestry (it helps to have family who knows how to prepare such food), or do not have neighbors, in-laws, or friends from the region ... good luck. If your friendly neighborhood Mediterranean eating place can help you, then that is great. For those unfortunate who really would like to try this without all the guesswork and hassles, check our insider tip below for a solution to this problem. Not much red meat. 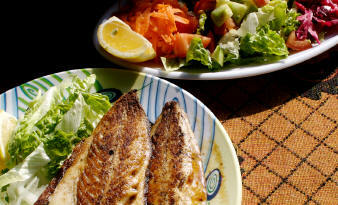 As we have noted earlier, the Mediterranean diet focuses mostly on fish as a source of protein. Red meat intake is minimized. So if you are a meat lover, this diet may not be for you. In addition, if you do not like fish, then this may also not be for you. Be careful with the oil. 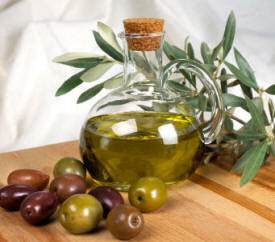 Despite the emphasis on the use of healthy oils such as olive oil or canola, you have to be careful with the use of oil. You cannot use and pour so much oil on your food or use too much for cooking. This is because oil can still be bad for the waistline, especially since oils can contain up to 120 calories per tablespoon — regardless of whether they are the good kind. Always use a measuring spoon. Don't pour more than what is needed since you will end up consuming more calories and end up packing more pounds. Need to include exercise. Despite knowing that exercise and other physical activities are essential to a healthy lifestyle and a more effective weight loss routine, there are those who just don't want to include this in their weight loss program. If that is the case with you, too bad that this program might not be for you. Still, we would like to remind you that exercise and other physical activities are a must if you want to see faster weight loss results. Our readers have written us before and have provided us with some feedback about how excited they were to read and learn about the Mediterranean diet BUT ... there was one major glitch. Most have said that, sure, this diet seems to be a great program to be on but the problem is that even though they have access to Mediterranean diet recipes, they were not sure whether what they were preparing were truly within the specifications of Mediterranean type diets. Furthermore, since they were not aware how Mediterranean food really tastes like or look like, how would they know if what they were preparing were truly Mediterranean tasting meals. They were hoping for a solution, one which took out the guesswork, the planning, and preparation involved. If you do not know of someone from the Mediterranean region who can teach you how to prepare traditional Mediterranean meals, we have some great news for you. We have done some research on diet meal delivery services that provide Mediterranean diet meals. After further examination of these services and talking to people who have been on the Mediterranean diet meal plan from this particular service, we feel comfortable in recommending only one diet meal delivery services among those in the market — eDiets. If you would like to get started right away to lose weight and achieve better health through the Mediterranean diet without having to read so many recipe books and literature about Mediterranean diet food preparations, we suggest that you try the eDiets Mediterranean diet meal plan. By doing so, you can jumpstart your weight loss plans right away, have a better idea about how Mediterranean meals are, and most importantly, know how they taste so that you can enjoy and savor Mediterranean style cuisine while losing weight. According to those who have used the eDiets Mediterranean diet meal program, this was one of the best decisions that they have ever made since it simplified their lives, helped them remain more focused on their programs, and most of all, helped them lose weight more easily. They mentioned the fact that it was a no brainer way to lose weight since there was no need to watch portion control, count calories, determine what ingredients to use, and freed them of the time for food preparation. Closely adheres to traditional Mediterranean diets. eDiets Mediterranean diet plan closely adheres to diets traditionally found in the countries around the Mediterranean. This is as close to the Mediterranean diet that you can get without having to leave your home to eat in a restaurant that serves Mediterranean food (you are lucky if you have one near you) or having to travel to Greece or countries bordering the Mediterranean Sea. Great time saver and very convenient. 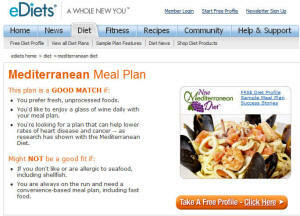 eDiets Mediterranean diet meal delivery was designed with busy people in mind. Just follow the meal plan accordingly to simplify your life. You do not need to plan or prepare your meals since your meals are already pre-cooked. The bottom-line is that the eDiets Mediterranean diet meal delivery service can save you lots of time and help you eat healthy to lose weight. Shipped in "Stay Fresh" coolers and delivered directly to your door. eDiet's Mediterranean diet meal plans are shipped in "Stay Fresh" insulated coolers with enough dry ice to guarantee its freshness upon delivery. eDiets' Mediterranean diet meals are freshly prepared by eDiet's chefs, vacuum-sealed to seal in the freshness and nutrients of the food, and delivered via Fedex. Free diet profile. Before you start on the eDiet Mediterranean diet meal plan, you can get a free diet profile right on the eDiets site to better assess your situation and help you prepare your diet program. eDiets personalized Mediterranean diet plan can help you achieve your weight loss goals much faster and more effectively. Great support community. eDiets has one of the most robust online weight loss communities that you will ever find. Having an online support group is a great way to maintain your motivation as you go through your weight loss journey. 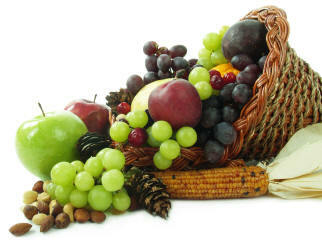 Plus ... the community is really very helpful when it comes to questions that you have about the Mediterranean diet. You can compare notes and seek advise from those who are using the Mediterranean diet meal plan to lose weight. Live support available. eDiets has live support to help you whenever you have questions about your diet plan, your order, or how to use the great tools that they offer on the site. You also get live phone support from registered dietitians and certified fitness trainers. Pre-cooked food not appealing to some people. If eating pre-cooked and pre-packaged food does not appeal to you even if this was designed for you to lose weight and prepared and packaged with the latest food technology to preserve the freshness and nutrition-value of food, then eDiets meal delivery service may not be for you. Pre-made menus. Although the main purpose of pre-made menus is to make selection as convenient as possible for eDiet customers, there are those who prefer to have flexible menus. So this is a matter of personal choice on whether you prefer that someone creates the menu for you or not. No face-to-face support group. Some people like to have face-to-face meetings with a support group or a weight loss counselor to keep themselves motivated. Unlike Jenny Craig or Nutrisystem, eDiets does not offer this. If you are the type of person who needs an in-person support group or a counselor, and you would like to go with this program, try to find people who are using the eDiets Mediterranean diet program in your community or city. Available only in the US. Unfortunately, for those who live outside the United States, eDiets Mediterranean diet delivery service does not deliver outside the United States. "Did We Lose Weight with Mediterranean Diet?" We searched the web and found the following feedback on this diet. Note: Most Mediterranean Diet users have reported losing one to two pounds on average per week. Please be aware that results may vary depending on the individual and other factors. "My wife, Lynn, and I have been following the Mediterranean Diet for a year now. It has made a tremendous difference in our lives. We eat healthy. We exercise. We have lots more energy. I use to weigh 207lbs. (94kg. ), and now I weigh 177lbs.(81kg.). That's a loss of 30lbs.(13.5kg)!" "I could be better incorporating more legumes in my (Mediterranean) diet and cutting back on the chicken and fish, but otherwise this is the way I've lost 80 pounds. I am a big fan of this way of eating because I can do this for life. I've found some wonderful whole grains and so many wonderful new flavors. This way of eating is far from boring, isn't expensive and makes me feel great! ..."
"For one thing, I like that it is considered a plan rather than a diet. What I like about it also is that it doesn't forbid bread and pasta (or even rice) but just recommends that you use versions that are made of whole grains instead of processed ones. Mostly it is about avoiding processed foods, eating lots of fruits & veggies, little (or no) red meat, fish (seafood) & chicken, cooking with olive oil and using it to dress salads along with vinegar or lemon juice, and even allowing a glass of red wine with dinner. I don't count calories if I follow the plan & exercise and have taken off almost 20 pounds since mid April ..."
"What I really like about the Mediterranean diet … is that it’s a common sense diet. It’s about choosing healthy fats, healthy carbs and healthy proteins. So it’s easy and it’s just common sense. And once you learn the basic principles, it’s easy to follow ..."
"... The good news is that there are no hard and fast rules. The bad news is there is no hard and fast rules, so you are sort of on your own ..."
"... This is actually very close to what I am following for my maintenance routine. I don't eat as much of the whole grains that they recommend, but I do keep 1 or 2 servings a day in. I love this whole food method. It just FEELS healthy to me. It is VERY easy to transition too when you near the maintenance part of your WOE plan too! ..."
"Although some food is emphasized over others, no single food group is omitted in the Mediterranean diet, making it enjoyable right from the beginning. I've lost 3 lbs. this week already and am eating what I like. NO cravings, because I know that I can have just about whatever I want including sweets." "... The Mediterranean diet has a lot to offer you, but like any way of eating, moderation is key. There are some fabulous cook books out there to help you eat in a healthy Mediterranean way. Borrow a few from the library and stick to the recipes until you are able to cook without guidance. Eat appropriately sized portions and put the rest away for lunch tomorrow ..."
"I have achieved great results with this diet with some of my Celobrity Clients. Although have to say that I did a carb rotation a lot with this diet and customization for weight training ..."
"I am all about the Mediterranean way of life (and semi-veg). Veggies, fruits, whole grains, beans and occasional seafood (and wine!) is my lifestyle (hate the word diet)." "... Though the Mediterranean diet is actually quite simple, many of us who have eaten a lot of processed food (even the 'healthy' kind) may feel intimidated by the prospect of peeling and chopping vegetables and preparing complicated recipes with unfamiliar ingredients. ..."
"I follow a very strict low-carb mediteranean diet and I believe in it whole-heartedly! My diet consists of lean meats,fish & chicken, olive oil, flaxseed oil, vegetables of all types (except for corn, peas, potatoes, etc) and nori sheets...I allow myself olives, sundried tomatoes, mustard (without sugar), tomato paste & tomato sauces (without sugar), coffee/tea & sometimes sugar-free energy drinks... I feel healthy, energetic and all around good! ..."
To continue reading more actual customer feedback on Mediterranean Diet, Click Here.